It’s easy to forget that your crystal clear swimming pool isn’t just naturally this clear and picturesque all year round. Toiling tirelessly in the back of your garden, behind the house or in a discreet box somewhere is your pool pump and filtration system, keeping your pool clean and in shimmering glory all year round. If you want your pool to stay that way it’s essential to maintain your swimming pool pump and filters, keeping it in good repair and running optimally. To keep your pool sparkling, dirty water is pushed through the filters by the pool pumps, and then back out through the water inlets. Before the water can make it to the pump it will pass through a metal or plastic strainer basket, stopping leaves, sticks and other debris from getting into the pump and damaging and clogging the pump. With the debris sufficiently removed the dirty water goes through the filtration system where it’s cleaned and pushed back into your crystal clear pool. With so much riding on your pool pump and filters, it’s essential to make sure they are adequately maintained. It’s crucial to keeping your pool clean and your guests and family happy. No one likes a dirty swimming pool, so dirty pools don’t get swam in. Rather defeats the point of having a swimming pool! It is recommended that the installation and maintenance of your pool systems should be undertaken by experienced professional. 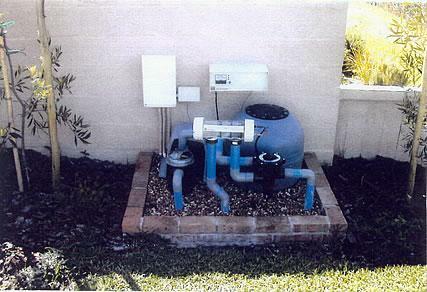 At Horizon Pools our team of experts are fully equipped to install and repair your swimming pool pumps and filters. We also stock a range of optimal quality swimming pool pumps and swimming pool filters, to ensure you get the best possible performance for your pool. We pride ourselves on our quality of customer service. If you’re interested in having your swimming pool pump and filter updated, installed or repaired, feel free to contact us today for enquiries or bookings. © 2019 Horizon Pools. All Rights Reserved.